There are many varieties of socks types available in the market. Liner socks are popular among them. 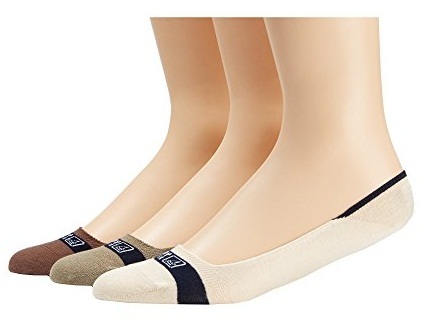 If you don’t want to wear proper socks with shoes you can try liner socks. They will protect your feet from getting odor as well as a good grip. There are many liner socks available that made of wool, lace, cotton and many more. Here are some various types of liner socks in market. When it comes to shoe liner sock, this is a good choice. It is made from cotton material and designed to give you a good grip. It has non-slip heel and foot bed with terry lining. You can wear it with any type of shoes and its absorbent nature will keep your feet moisture free. Silk is a very soft material and when it comes to silk liner socks it has very high demand. This is a no-show design and you can get many variety colors of this design. The soft silk material is very soft on your feet and will give a good grip. It will be comfortable to wear with office wear shoes. 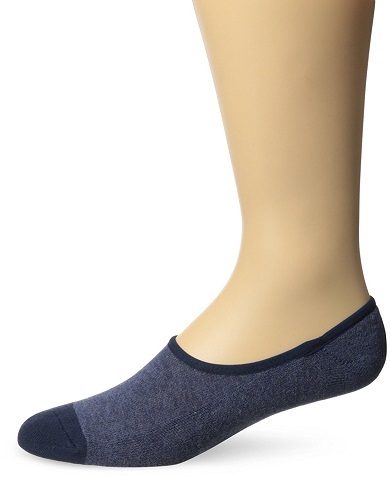 If you don’t want to show your socks out, you can try these mens liner socks. 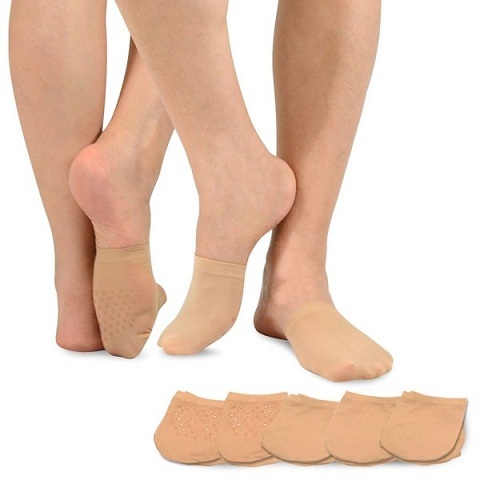 It is a skin color socks liner and is made of good quality stretchable material. It has the capacity to absorb your sweat and keep your shoes odor free. This is made of cotton, nylon, and spandex material. You can wear it with your flat shoes. 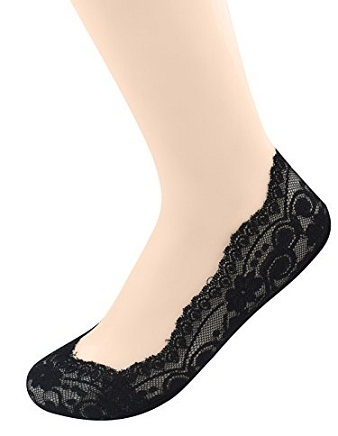 This is a black liner socks and is made of cotton, lace and silicon material. You can wear it with flats and shoes. All this material helps to give the socks a good grip. This is a low profile liner and it stretches comfortably over toes. 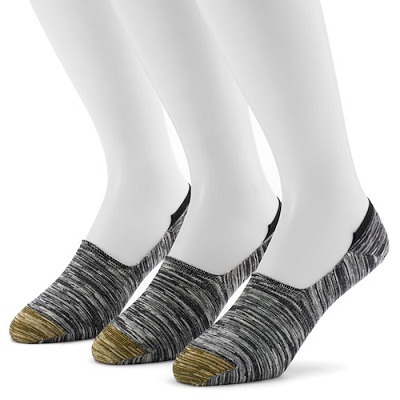 Give your feet extra elegance with these beautiful socks liners. 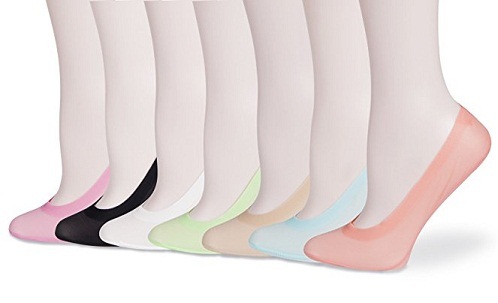 Are you looking for a perfect womens liner socks ? Then this is for you. Try this foot liner socks with silicon. The silicon helps to give it an extra grip. To give your feet a fresh smell it is designed with an antimicrobial treatment. The toe part is so smooth that you will wear it for the whole day comfortably. These socks are made of cotton, spandex and nylon material. If you want to try something different in socks liners here is the choice for you. You can try this best socks liner with floral design on it. The foot part is designed to provide a good grip and the upper part is made with floral lace material. You can wear this black socks liner with your boots and keep your shoes odor free. This is a cotton liner socks specially made for Oxford shoes. It comes with Aqua FX technology that helps to absorb moisture from your feet and keeps it dry. Socks material is cotton, spandex and polyester material. You can try this excellent liner socks with your Oxford shoes. When winter comes the demand for sock liners arises. 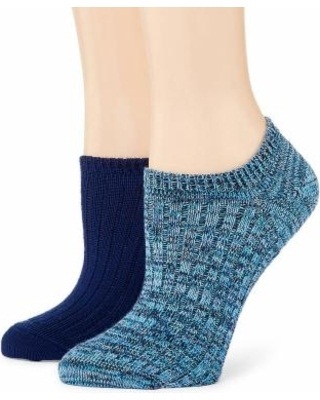 This is a winter sock liner model that you can wear with your booties. 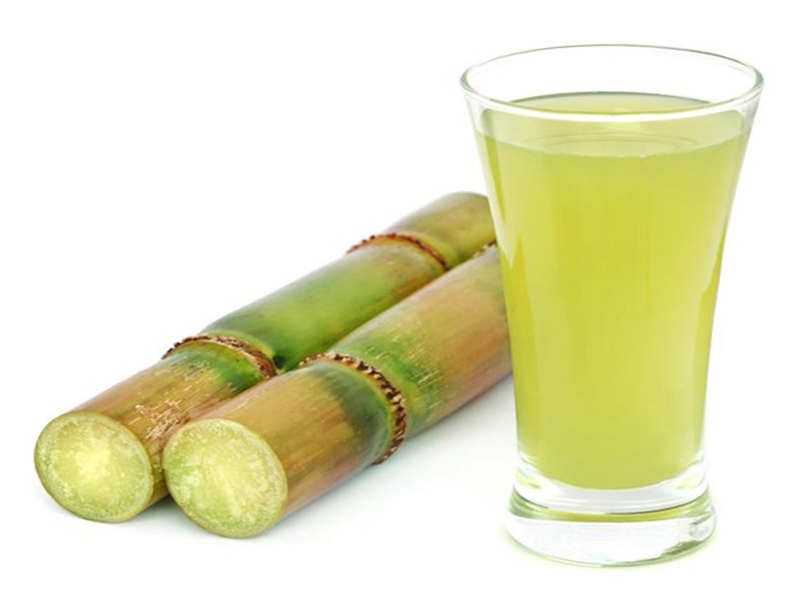 It is made of woolen material and the elastin that offers it stretch. This material absorbs moisture from your feet and keeps it odor free. If wearing a socks liner that covers your whole feet is irritating to you then try this design. This is a variety socks liner design that covers your toe well. You will get it in many colors. This is non-slip and will perfectly fit on your toes. Try this thin liner socks with any shoe type. You can try socks liners once. You will love it and will wear it with your shoes always. Always you don’t have to wear the thick socks to keep your feet out of odor. Socks liners come with moisture absorbent technology also.